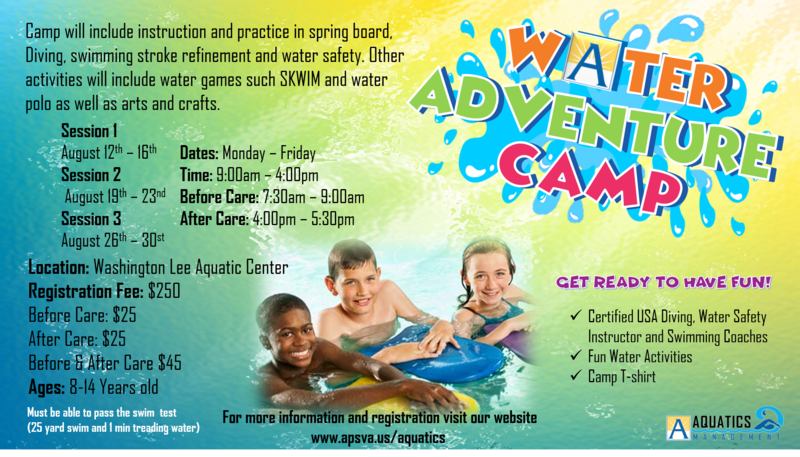 This week long camp will keep children active and engaged by pairing instruction and practice in Spring Board Diving, Water Polo and Swimming Stroke Refinement with other aquatics activities and arts and crafts. Camp staff will include certified USA Diving, USA Water Polo and USA Swimming coaches and American Red Cross Water Safety Instructors and Lifeguards. Participants must be able to swim 25 yards without using a prone stroke and tread water for 1 minute. 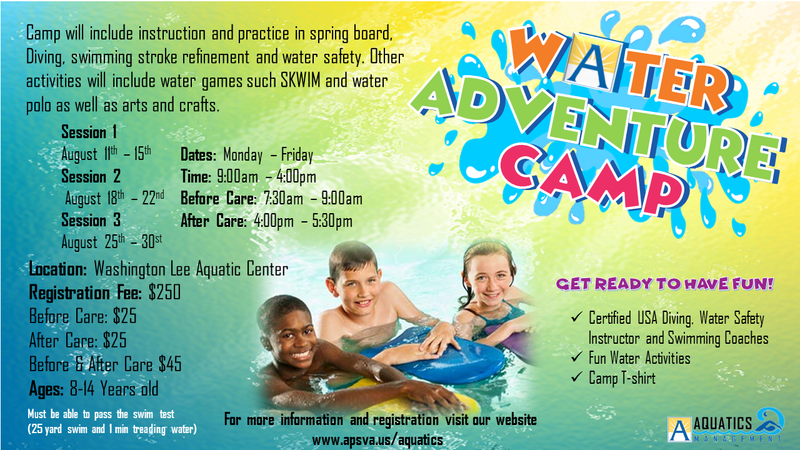 Activities will include personal and community water safety skills. A camp t-shirt is included with registration. We will be offering three session in the month of August.